Despite being thought of as one of the more straight-forward clinical problems to treat, in reality, working with panic disorder can present clinicians with some real challenges. This is particularly true when clients are highly avoidant, agoraphobic or present with co-morbid physical health conditions. Clients presenting with emotional avoidance. Using a range of teaching methods, you will have the opportunity to brush up on the basics and to learn about and try out some new ways of working with these problems. 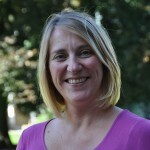 About the presenter: Alison Croft is a highly experienced CBT clinician, supervisor and trainer who has extensive experience of working with panic disorder and agoraphobia in primary and secondary care settings. She led a specialist CBT service for clients with severe panic disorder and agoraphobia for 5 years in Oxford. Alison Croft trained as a clinical psychologist in Oxford. She has many years’ experience of working in various adult mental health teams from primary to tertiary care and has extensive experience of applying CBT with a wide range of clinical presentations. She has specialist interests in working with anxiety, physical health and survivors of childhood trauma. She currently works as a Consultant Clinical Psychologist within a CMHT and a CBT trainer and supervisor with OCTC. She has regularly taught and supervised on the Oxford Doctoral Training Course in Clinical Psychology. She jointly set up and runs a collaborative project between OCTC and the Oxford University Medical School, teaching CBT skills to clinical medical students. She has experience of delivering training and supervision to a wide range of health clinicians, from beginner to expert level, both in the UK and overseas. She has published several book chapters related to CBT practice.